When it comes to selecting touring places in Northeast India, the state of Tripura often gets overlooked. However, this is most unfortunate as the area offers an abundance of sights to witness and things to do. If you have been pondering over where to go for your next trip, it is highly recommended that you choose a Tripura tour package that will comprehensively let you experience all the wonderful things that the state has to offer. Discussed below are some of the most memorable sights and activities to experience in this old princely state. 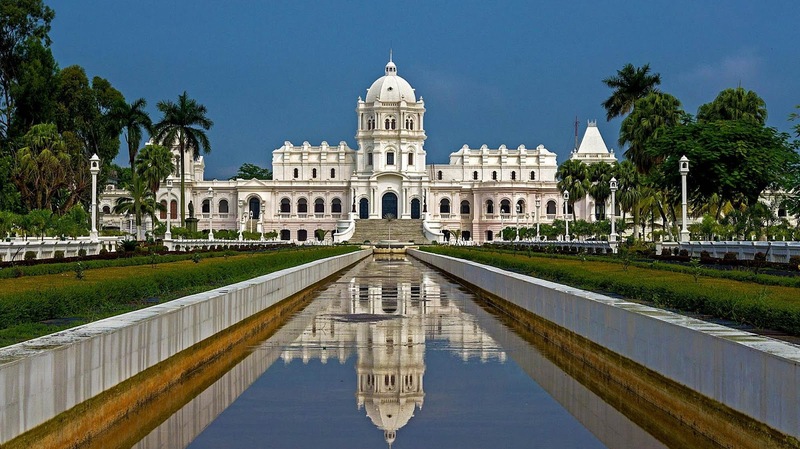 There is no other place in Tripura where you can better experience the royal history of the state than the Ujjayanta Palace. Built between the years of 1899 and 1901 by Maharaja Radha Kishore Manikya, the name of the palace was suggested by the Nobel laureate Rabindranath Tagore, who was a frequent guest of the royal family. The palace served as the imperial home before it was purchased by the Government of India in the early 1970s. It was used as the Legislative Assembly of the state until 2011 and since then has served as the state museum. The grandeur of this palace is sure to mesmerise you. Another place that you should not miss while you are travelling through Tripura is the Tripura Sundari Temple, which houses the Tripurehwari Goddess. This temple is located in the city of Udaipur, and you should consider paying a visit to it even if you are an atheist. Also known as the Matabari, the temple tends to be a spot that most people visiting Tripura do not like to give a miss. It is also one of the 51 Shakti Peethas to Hindus. One of the best things about this temple is that it is comparatively less crowded, especially during the off-season. While many claim that this is the first heritage page in Northeast India, the fact remains that it is not something that you can afford to miss as part of your Tripura tour package. The strategic design of this park aims to give visitors a clear idea about the culture, art, heritage and wildlife reserves that the state has to offer. You can get an idea about the grandeur of this Northeast Indian state simply by visiting this park. If you are a nature lover, then this is one place where you have to go to. The Sipahijala wildlife sanctuary is one of the primary wildlife reserves in Tripura and is located at a distance of a meagre 35 kilometers from the capital Agartala. There are innumerable bird species as well as 6 types of primates that are housed in this forest. You can also choose to take rides of boats or the toy train while you are visiting this sanctuary. Now that you are aware of the things to do in Tripura, what are you waiting for? Book a tour package, pack your bags and start travelling without delay!